Update: This project is done, read our Travel Report down this page. We came into contact with Teens For Christ Africa (TFCA) during our previous mission trip in Africa in May 2015. 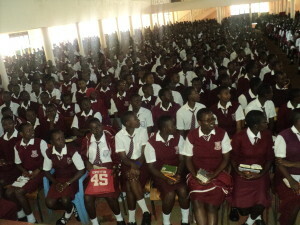 TFCA evangelizes high school age teenagers in Kenya, Uganda, and Rwanda. Their target group counts for approx. 230,000 people. During our gathering we talked about cooperation opportunities. This has led to this project plan. 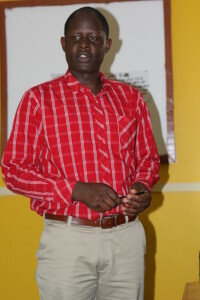 Luke Onyango Amoke is deputy director of Teens For Christ Africa. He is the commissioner for this request to KingdomIT Foundation. We will give an awareness training about the use of social media. About 3,000 teenagers will be taught about the possibilities and issues of social media. We will also equip them how to use social media to spread the Gospel among their peers. Social media offer many opportunities. At the other hand dangers are obvious. Think about violation of privacy, moral decay, human trafficking, undermining of norms, values, and family structure, etc. In the coming weeks we will prepare the content of workshops to be held. See references at the end of this document. 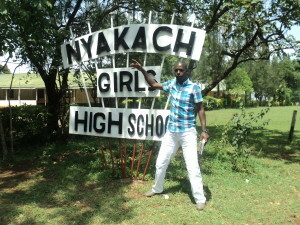 The project will be held at the Nyakach Girls High School in Sondu, Kenya, 60 km from Kisumu. Christ in cooperation with Teens For Christ Africa. KingdomIT will do this, using IT.